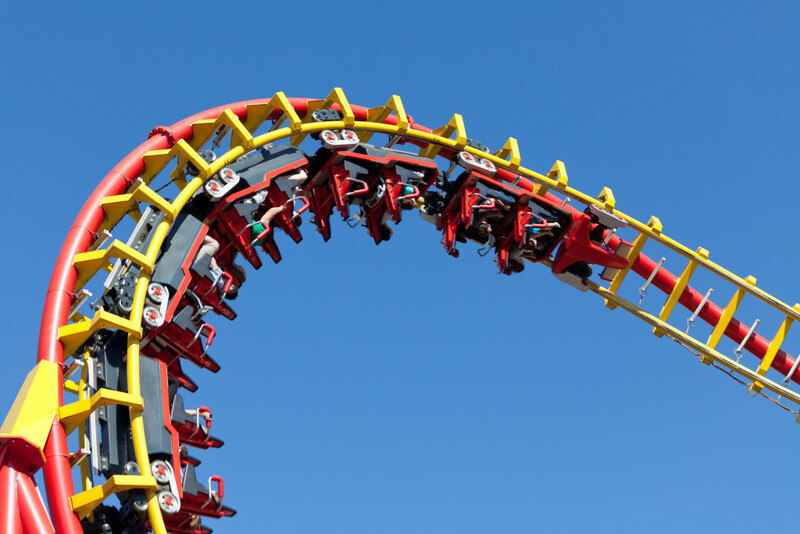 In the first quarter of 2018, investors were reminded that stocks markets don’t go up forever, and that they can be something of a roller coaster ride. The euphoria that carried the markets to record high levels last year, came to a screeching halt in February, experienced a rebound, only to sell off once again. Volatility, which was virtually non-existent last year, has finally returned with a vengeance. The VIX, the measure of 30-day implied volatility for the S&P 500 Index which is considered a market “fear gauge”, spiked 81% for the quarter from 11 to almost 20. The Dow experienced its worst quarter since 2015, posting a 2% decline and the S&P 500 Index without dividends ended its nine-quarter winning streak with a drop of 1.2%. Among the major benchmark indices, only the tech-heavy NASDAQ managed to stay above water with a gain of 2.6%. That is not to say that all tech stocks remained unscathed. Facebook and other social media companies were hit hard on data privacy concerns. So what factors caused the spike in volatility and markets to decline in the first quarter? Global markets were not immune from the sell-off or rising volatility. Developed international markets, as represented by the MSCI EAFE Index, also declined 2.2%. But Emerging Markets continue to remain a bright spot, up more than 22% over the last year and gaining 1.1% for the quarter. Bond indices were under pressure due to rising interest rate concerns, with the Bloomberg Barclay’s Aggregate losing 1.5% as the Fed has telegraphed three rate hikes this year. Despite the recent market turmoil, underlying market fundamentals remain bright. Corporate profits and economic growth are expected to continue accelerate. GDP is growing, people have jobs, higher wages, and they are spending. The market was overdue for a correction, but most experts believe the long-term market trend remains positive. Sporadic market declines are actually the norm and not the exception, and should be expected as a normal part of the investment cycle. The table below prepared by Capital Group depicts the history of market declines for the Dow. Investors who do not panic in times of market unrest, have historically been rewarded for their patience. Now that market volatility has returned to “normal” levels, we are likely to see bigger swings in the market. As such, it is an important to stay focused on the long-term and not try to time the market. The opinions expressed above should not be construed as investment advice. This letter is not tailored to specific investment objectives. Reliance on this information for the purpose of buying the securities to which this information relates may expose a person to significant risk. The information contained in this article is not intended to make any offer, inducement, invitation or commitment to purchase, subscribe to, provide or sell any securities, service or product or to provide any recommendations on which one should rely for financial, securities, investment or other advice or to take any decision. Readers are encouraged to seek individual advice from their personal, financial, legal and other advisers before making any investment or financial decisions or purchasing any financial, securities or investment related service or product. Information provided, whether charts or any other statements regarding market, real estate or other financial information, is obtained from sources, which we and our suppliers believe reliable, but we do not warrant or guarantee the timeliness or accuracy of this information. Nothing in this letter should be interpreted to state or imply that past results are an indication of future performance. Sign up to receive our Quarterly Newsletter, and latest blog posts and articles as soon as they are posted. ADV |Disclosure | © EQM Capital LLC 2019 | Designed by MarketQuest Inc.